Ellen Wernecke is known as a person who gets things done. So when the ACT Foundation asked her to champion the high school CPR program in the Lakeshore School Board where she was Director of Education in 1996, she jumped right in. 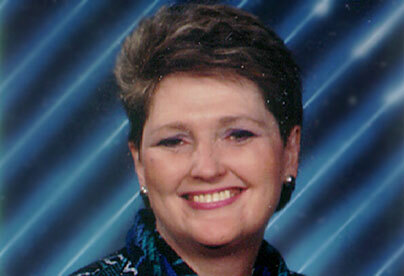 Ellen had 30 years experience as a principal and teacher. She liked the idea of teaching grade nine students how to intervene and perform CPR in case of a heart attack. “The kids don’t necessarily feel that great about themselves in that grade, and CPR training is something they enjoy,” she says. When the campaign was rolling, she was spurred on by the letters she received from parents, expressing their support for this high school program. Now retired, Ellen remains a champion for Montreal’s west-end CPR program and is still involved as an advisor to the ACT Foundation, helping to promote CPR training across the country. The ACT High School CPR Program was made possible in Montreal thanks to the generous support of ACT’s Quebec provincial partners: J.W. McConnell Family Foundation, McKesson Canada, the Quebec Ministry of Health and Social Services, the Quebec Ministry of Education, Recreation and Sports, Scotiabank and Sun Life Financial. Mannequins and curriculum resources were donated to the school and the teachers were trained as CPR instructors for their students.